Editor’s note: On Sunday, September 21, Afghanistan’s elections commission announced that former finance minister Ashraf Ghani won the election for president. The announcement of the president elect came shortly after runner up Abdullah Abdullah agreed to a negotiated power-sharing deal. This essay was published during those negotiations. When we cast our votes for our futures and for our children we chose you two—Dr. Abdullah Abdullah and Mr. Ashraf Ghani—as the best among all the candidates. You two were elected to lead. You both can be winners if you think about your nation of Afghanistan and work together. Democracy in Afghanistan is still an infant; please don’t allow it to be destroyed. Please don’t let our people again become refugees, our children orphaned, and our women widowed as men go to war killing their brothers. We Afghan people don’t have choices. Please respect our dreams, as we trust and respect you. You know that Afghan people are struggling with many problems. The economy is very poor; every day we hear on the news that the budget of Afghanistan is zero. This means famine and hunger in 2014. This is the dark night of 2014. Afghan people are in danger. There is killing and kidnapping on every street and road. Corruption is rising. People taking bribes are stealing our national capital. Please become our moon that lights the way. All our hopes rest with you. Afghanistan is one country and one nation, not many nations. You are the sons of this country; we believe you can bring us peace and security. Don’t paralyze the hardworking international society that brought friendship and brotherhood to us. You can make history by bringing a message of peace. Our children have dreams of going to school in a secure country where they can feel kite season in the spring. Every day when I go to my job, I despair of the future and what my son’s future will be. How will children grow up alongside horror and killing? Mothers like me carry all the responsibilities of their children alone. See what has happened in your country. You are Afghan, and our elected leaders. By working together, you both can win. Thank you for writing such a beautiful essay, you wishes and hopes has a loud voice. But I don’t agree with you if you were supposed to vote for both candidates in the election. 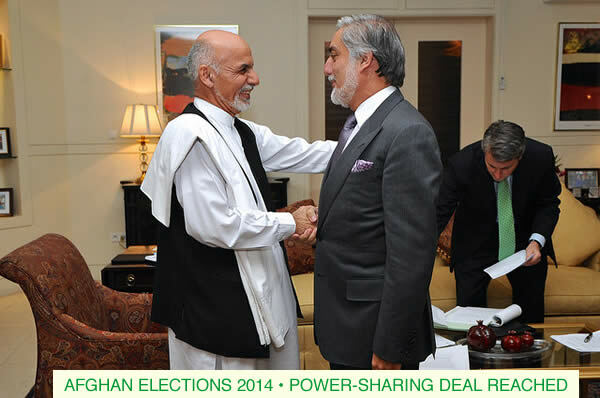 In democratic elections there is always one winner, but in Afghan election there is always two winners! In your essay you have written about the dream of all Afghans, I hope that the two winner candidates will hear you, and work really, honestly for our poor Afghanistan. I will be heart broken if change will not happen in Afghanistan with the wisdom that Mr.Ashraf Ghani has, time will show that, Let’s hope for the best in the unseen!